Well, It’s been quite some time since I wrote Part 1. I wanted to focus on different topics and then come back to certificates but Christmas holidays came and also I’ve been involved in few interesting and quite demanding projects and could not dedicate much on vCenter Self-Signed Certificates Part 2. Although I wrote most of the”painful” portion of the process, I still think that Microsoft CA way requires proper attention.In this part should to be much shorter than Part 1 but let’s see how it goes. Looks familiar, isn’t it ? Some of those steps we have done in Part 1, and of course we going to reuse what we already have. Before going ahead let’s make check point of what we need and what we have . 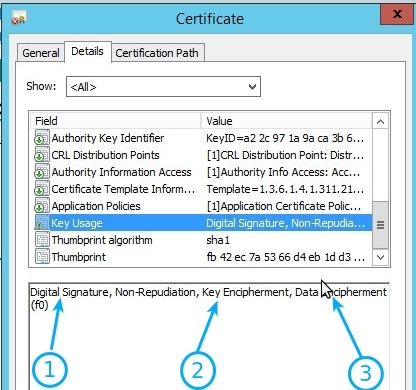 You have reviewed the Key Usage Extensions for the VMwareCertificate (Web Server) template on your Certificate Authority server and made sure it has digitalSignature, keyEncipherment, and dataEncipherment enabled for certificate generation.If you do not have this one, follow this article to set-it up. You are not using wild card certificates. Each certificate needs to be unique in vSphere 5.x and as a result wild card certificates are not supported. Now, since I have configured OpenSSL , I need to generate a certificate request for each component. 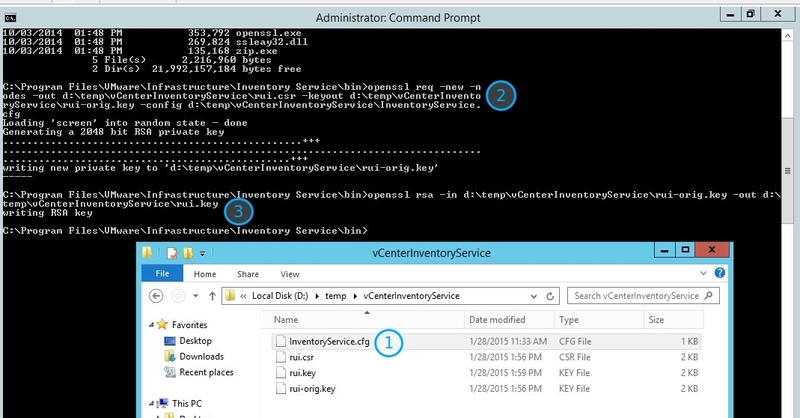 Folders for all components has been created with component SSL config files .Generation is easy, open Command Prompt get to OpenSSL folder and use bellow commands for each service. Here comes the interesting part. Steps bellow need to be executed for all services. 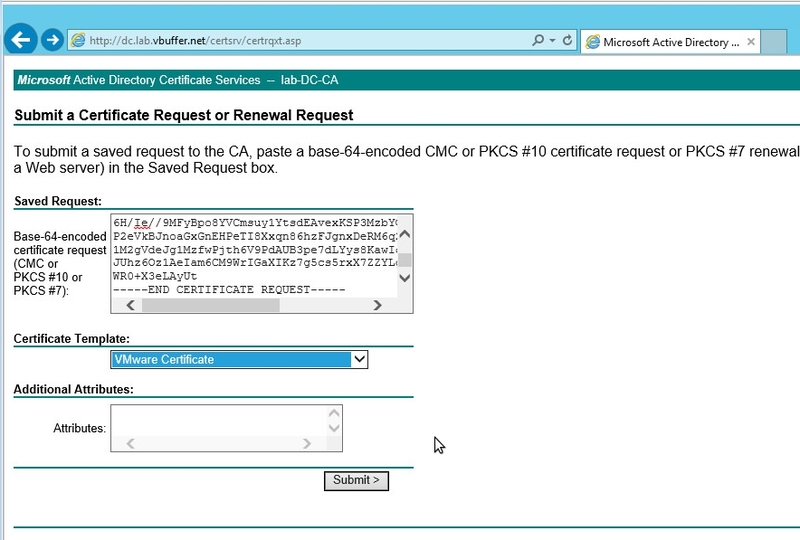 Open rui.csr, generated in previous steps, in text editor and paste it everything in “Saved Request” .Select “VMware Certificate” certificate template from drop down list or the template you have prepared .Once ready “Submit” it . 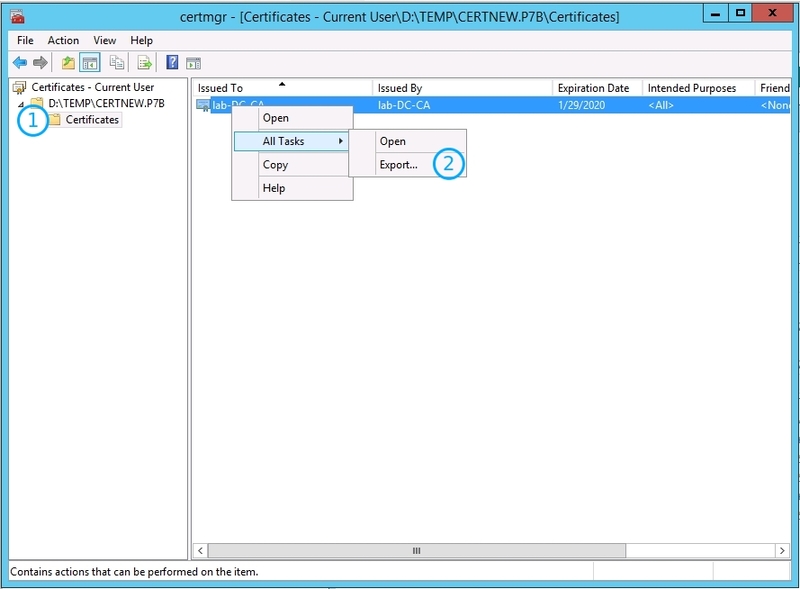 Before continue we let’s verify certificate key usages . Open rui.crt file go to Details >Key Usage. Do you see digitalSignature,keyEncipherment,and dataEncipherment? 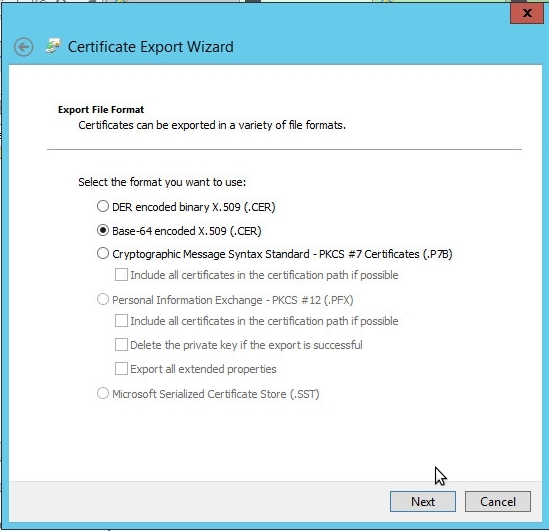 Double click on saved certificate chain and go to “Certificates” and Right-click the certificate listed and click All Actions > Export. So far so good , next step is to generate PKCS#12 PFX for use with each one of the services.Creation is relatively easy and require execution of only one line command in Command Prompt.Make sure you adjust all necessary parameters for each service. 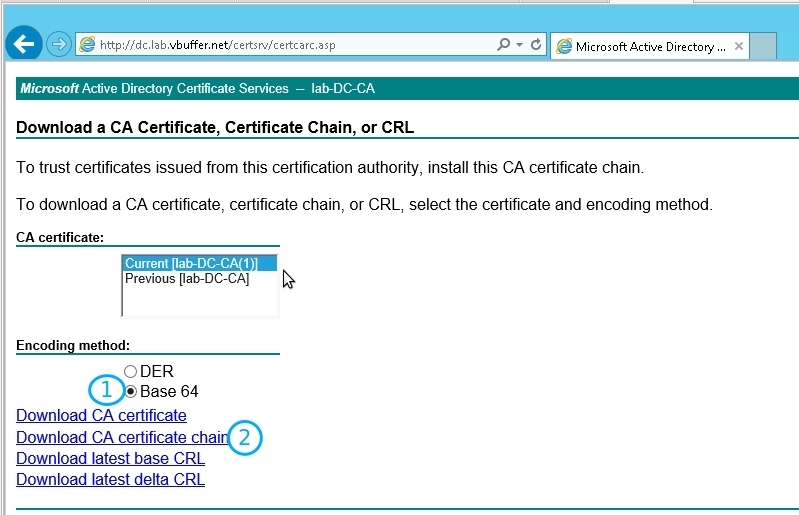 #SSO service is special so following command should do the magic.Don't change certificate store password "changeme" and the key alias must be "ssoserver"
Alright, we have got everything we need for implementing custom Microsft CA certificates. Now if you have your vCenter components on one server you can keep certificates in same folder or wherever you store them, but in case your vCenter components are installed across few servers, copy required files to each server. For the implementation we going to use same tools and steps as in Part 1. Key moment here is to verify sequence by creating a plan for implementation for each service with SSL Automation Tool . Awesome functionality 😀 . That’s it, pretty much. Path seems not quite short but at least exists and I hope it will save some of your time. Got a question ? Write it in comments bellow. Top vBlog 2015 Voting !! !